Since its creation in 2002, Atlantis has evolved in the television industry. Atlantis, is a tool, an advisor, a knowhow, a structured and high performance team that helps producers to create and make in the best of conditions, leading light programs which will permit them to make their mark on programming schedules or digital platforms. Built around 8 companies, each complementary to the other, the group’s reason for being is the making of programs for television, advertising and e-cinema. For ATLANTIS TELEVISION: Internal post production services in our studios. For ATLANTIS ACTIVE: External customised post production services at our clients ’premises. For ATLANTIS TOURNAGE: filming services and the hire of filming equipment for all types of shooting. For BACKUP: consultancy and post production services directed at the advertising market. For THE MIXMEN audio services and sound editing, dubbing and mixing. For BLACKBOX audio-visual production and advertising content. For STUDIOS ATLANTIS the production of full length feature films for the e-cinema market. The brand has imposed itself and has made itself respected by the main groups to be today the first choice for making programs. With a view to developing so, each of its branches are autonomous, the departments of Atlantis Television were affiliated in 2013 by capitalisation realised for the benefit of the companies Atlantis Active and Atlantis Tournage. In 2016 were added the companies Atlantis Films and the group Back-Up. These four companies are 100% owned by Atlantis Television. The Atlantis client base could be seen as a TV Trade directory given the very wide spectrum that it covers. 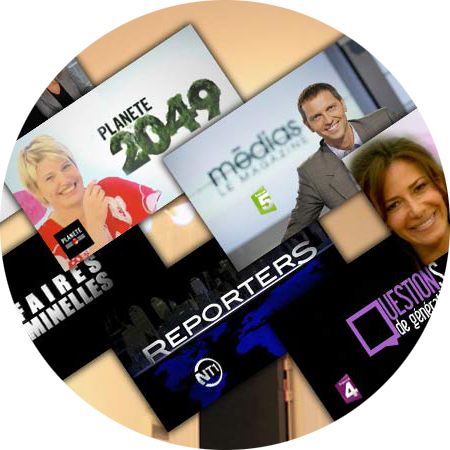 A great number of TF1 and M6 prime time shows are made in the studios of Atlantis TV as well as many other programs, particularly for France Télévisions and Canal + groups. Starting with 3 editing studios, Atlantis TV has become the French leader ten years later with 800 editing studios. A fast but steady growth highlighting the Group’s dedication to producing images. For CEO Frédéric Houzelle, television is more than a job, it’s a family matter. His audiovisual passion is still present and has permeated the group’s DNA and motivates every team member. Our company’s history has been written through our clients success stories. 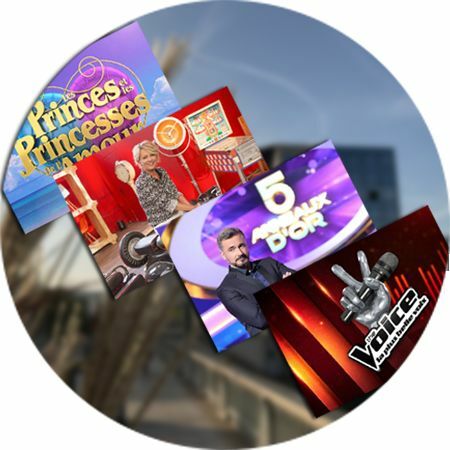 ITV STUDIOS FRANCE takes over the tv show The Voice Kids. TF1 Production produces Beauty Match, the new beauty influencers for TFX channel. BBC Studios France relapses La vie secrète des chats for TF1. Warner Bros. international Television realises the documentary series Les mamans for TF6 channel. Opening of Le Gainsbar, lounge restaurant in Atlantis 2. Atlantis Bien-Être, the zen and weep-being space opens in Atlantis 1. Tony Comiti, which uses the technical means of Atlantis Télévision, moves in Boulogne-Billancourt. Come back of the tv show The Voice, ITV STUDIOS FRANCE production. The new version of the zapping show named Vu releases on France 2 channel. 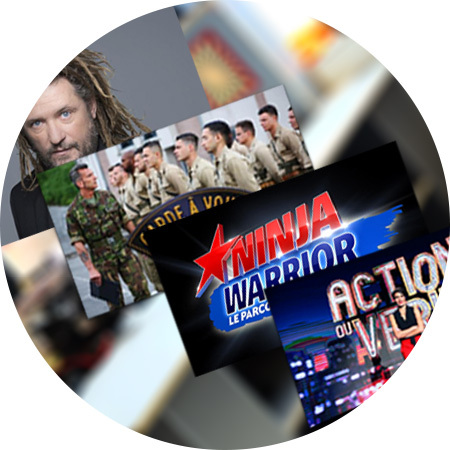 Release of the tv show Action ou Vérité for TF1 channel. New concept tv game 5 anneaux d'or produced by ITV Studios France and France Télévisions. Nearby 6 000 square meters in the heart of Saint-Germain Island. Formation of the subsidiary Atlantis Films Integration of the group BACK-UP specialised in the advertising sector. Warner Bros Television Production install their French offices in the Atlantis Studios. 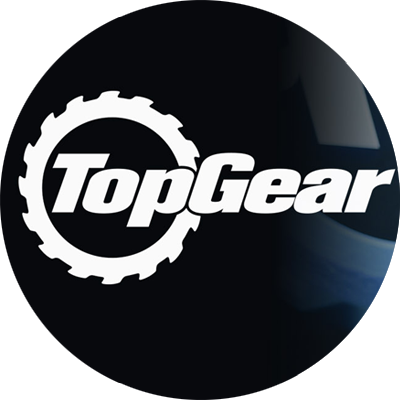 Launching of the show «TOP GEAR France » on RMC Découverte. Creation of subject for the prime «Tout le monde joue avec la mémoire» for France2. Launching of the show « Qui est la taupe» for M6. 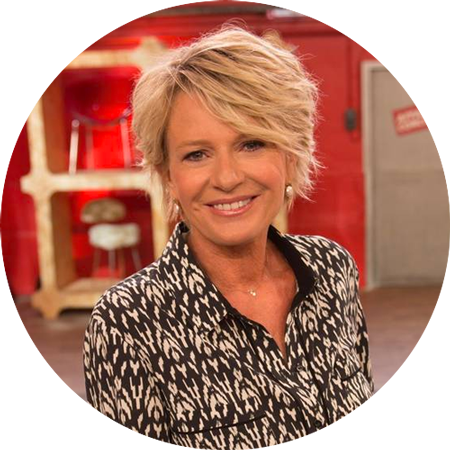 Creation of the show «Le Meilleur pâtissier» for M6. Return to the production of «Dîner presque parfait» for W9. Launching of « Chasseurs d’appart» for M6. Atlantis the 10th year anniversation of collaboration with TF1. Increase of the capital of 14 M€. Opening of a new site Atlantis 2 at 43 rue des peupliers at Boulogne-Billancourt. Launching of the show «Rising Star» for M6. Launching of the show «Le Divan» for France 3. Launching of the fiction show «Une histoire, une urgence» for TF1. Launching of «Meilleur menu de France» for TF1. Launching of the show «Joker» on France2. 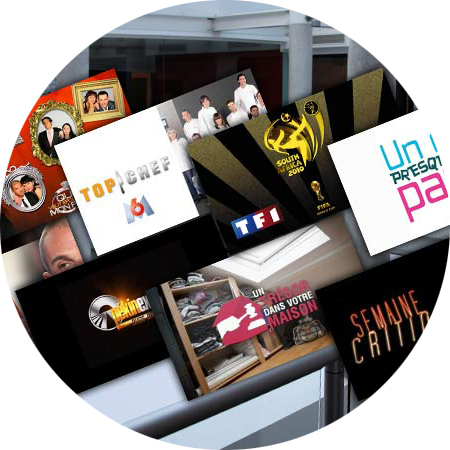 Launching of the shows «l’Histoire au quotidien» for M6. Merger operation for Atlantis Télévision. Launching of the show «Splash » for TF1. Creation of the show «E=M6» for M6. Launching of the show «Ice Show» for M6. Creation of the show «Les reines du shopping» for M6. 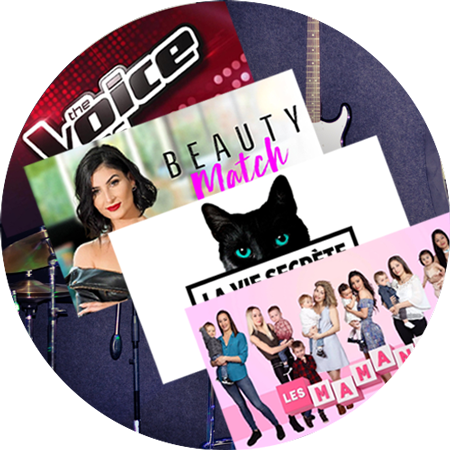 Creation of the show «Nouveau look pour un nouvelle vie» for M6. Setting up of all the technical means of TF1 production on the Atlantis 1 site. Creation of Active Atlantis and Atlantis filming structures. Acquisition of the whole of the 9000 m2 of the Atlantis 1 building. Atlantis, in partnership with TF1 for l’Euro 2012 . Launching of the show «Norbert et Jean» for M6. Launching of the show «Grand Public» for France 2. Launching of the show «200 km à la ronde» for France 5. Launching of the show «Qui chante le plus juste» for France 4. Launching of the show «Génération Hit Machine» for W9. Launching of “Dance avec les stars” ("Dancing with Stars") for TF1. Launching of "4 mariages pour une lune de miel" for TF1. 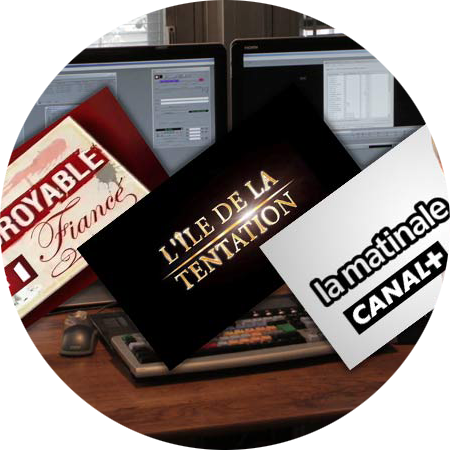 Production of "Le grand 8" for Direct 8. Atlantis, in partnership with TF1 for the rugby world cup in 2010. Opening of the new Atlantis Site 1 of 4000 m2, at 38 quai du Point du Jour in Boulogne-Billancourt. First productions of the weekly show “Un diner Presque Parfait” for M6. 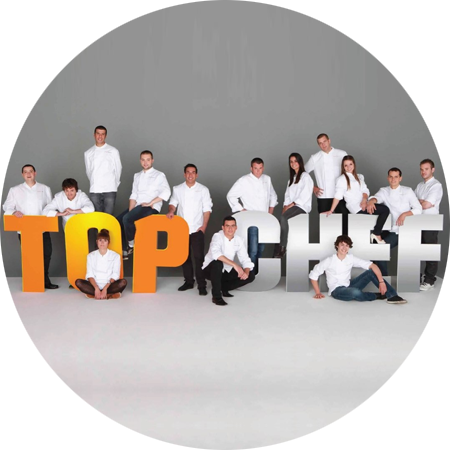 Production of “Top Chef”’s first season for M6 hailed “best new show in 2010”. Launching of the cultural show “Semaine Critique” for France 2. Launching of “Un trésor dans votre maison” (“A treasure in your house”) for M6. Launching of “Pékin Express Duos de Chocs” for M6. Launching of “la Quotidienne du Cinéma” for TPS. Post production of the “Coupe du Monde de football 2010” (Football worldcup) for TF1. First production of “Qui veut épouser mon fils” (“Who wants to marry my son”) for TF1. Opening of the site Altantis 6. 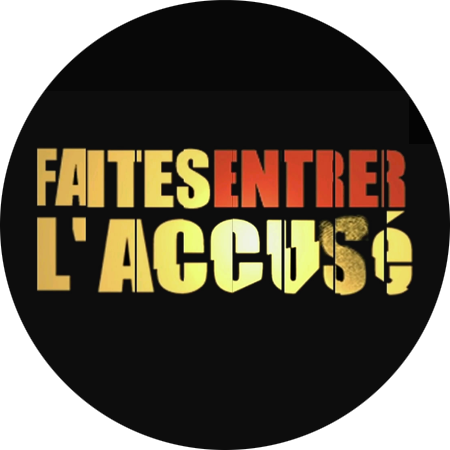 Production of “Faites entrer l’accusé” for France 2. Launching of the new re	ality show “Mon incroyable fiancé 2” for TF1. Launching of the weekly programme “90 minutes Enquête” (news programme for TMC). Setting up and commissioning of the overall technical means for the Planète channel. Creation of the “Atlantis Events” structure. Launching of the daily programme “10h Mag” for TF1. Launching of “Media le Mag” presented by Thomas Hughes for France 5. Launching of “Pl	anète 2049” weekly programme presented by Maïtena Biraben (Planète). Launching of “Questions de génération” presented by Samuel Etienne (France 4). Launching of “Reporter” (news programme for NT1). Launching of “d’Affaires Criminelles” presented by Yves Renier (pour NT1). Launching of “Jury de Stars” presented by Elsa Fayer (for NT1). Lauching of “Enquêtes et revelations” in succession to “Droit de Savoir” (TF1). Setting up of a site specialized in France Télévision in Issy Les Moulineaux. Full management of all TF1’s sports programmes. 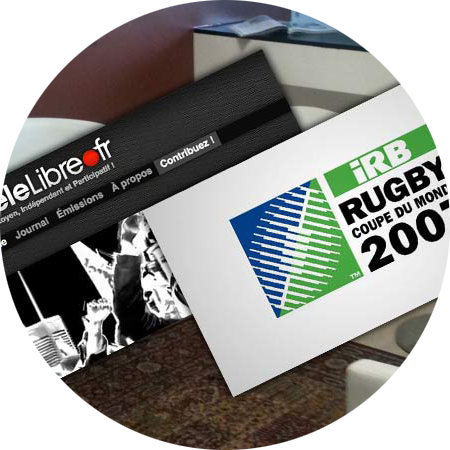 Production of all the “Coupe du monde de Rugby”’s shows (rugby worldcup’s shows) (TF1). Opening of Atlantis 4, fourth site dedicated to producers and which is called “Le village des Prods” (renting of offices with pre-equipped editing rooms). Development of the Internet activity through the creation of “La Télélibre”. Setting up of an fibre optic directly linking Atlantis Television to TF1. Purchase of the VM group’s equipment. First production of reality shows “Mon incroyable fiancé” et “l’île de la tentation” season 4, both for TF1. -Production of trailers for the channel. -Production of subjects of “La Matinale”, a daily news programme. Beginning of the editing of the monthly programme “90 minutes” (TF1). Purchase of the company Prestige Video Film’s equipment. First broadcasting of “Magazine de la santé” (daily programme broadcast on France 5). Opening of a second exploiting site : Atlantis 2 (18 editing rooms). 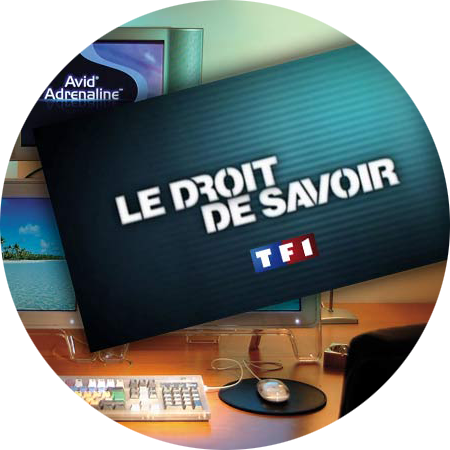 First production of the show Droit de Savoir » or « The Right to Know » (news programme broadcast on TF1). We never wanted to become number One, history has written itself, we have always remained ourselves, trying to create spaces that look like us. « Atlantis Studios » is a unique meeting place, somewhere to exchange ideas and work, an environment which stimulates performance and creativity, where our customers adhere to a notion to think post production differently. Collaboration on a number of innovative projects have enriched our own techniques and skills beyond the simple making of the programme. 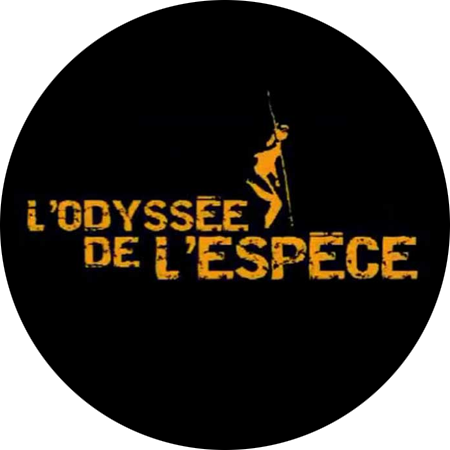 In 2003 “L’Odyssée de l’Espèce” which was considered the best French TV show by the French President in office at the time, achieved a great number of audience records after it was broadcast on France 3. 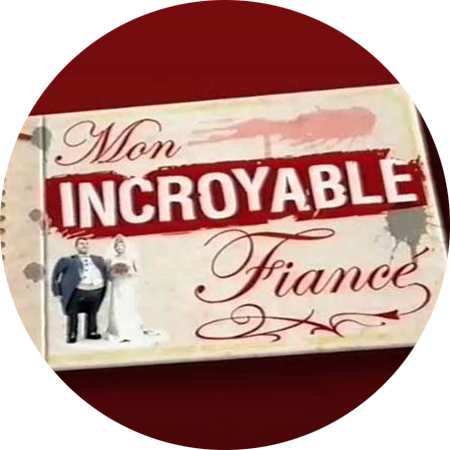 In 2005 “Mon Incroyable Fiancé” achieved on TF1 a total audience record for the second half of the show: 8 916 480 viewers (51,2% of pdm). With M6 next to Studio 89, we produced the famous cooking competitions “Un Dîner Presque Parfait” and “Top Chef” for which we are currently making the 6th season in a new version widely appreciated by the viewers. “Cauchemar en cuisine” starred Philippe Etchebest, a winner of the award “best worker in France”, and “Le Meilleur Pâtissier” our BBC bake off, hosted by M6’s most famous award winning chef, specialist of cooking attitude, Cyril Lignac. Today, we produce a wide range of programs for all of those TV channels, but also for others groups. 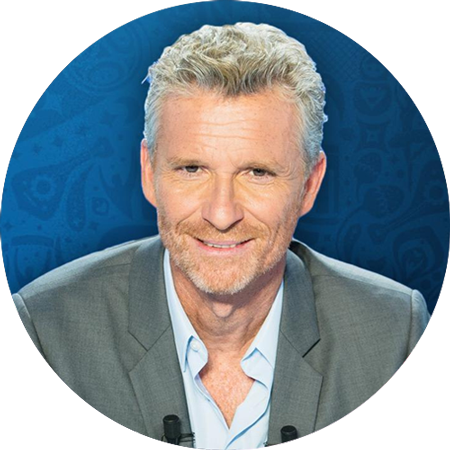 From the very beginning, we have accompanied TF1 in the production of its major Sunday programs: “Auto Moto”, “Téléfoot”, and the launch of “50 Minutes Inside” and “Danse avec les Stars”, as well as all of the great sporting events and the World Cup since 2007. Finally, we have filmed daily a great number of surgical procedures, including open heart surgery, for “Le Magazine de la Santé” and its host Doctor Michel Cymes shown on France 5 every afternoon. Our reputation has developed and grown through our skills and experience in a variety of programs. We have demonstrated reliability in very difficult situations, an ability to produce quickly, day or night, thanks to an experienced and well supervised team. Our “field of play” comprises 450 editing studios, over 4 production sites is also a substantial asset for Atlantis and a major advantage to guarantee our clients the quality of the finished product. Could it be that working with Atlantis Studios brings you luck? Some may believe so! Check it out: a number of shows produced in our studios have achieved record audiences and left a mark on popular culture. 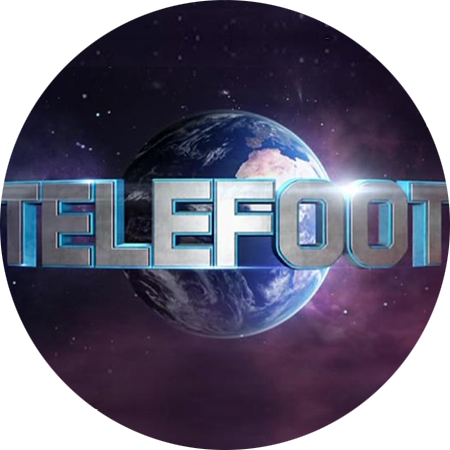 Telefoot realises one of its best audience of the season this sunday July, 15th 2018 a few hours before the final. The TV ratings then explodes for TF1 during the France-Croatie game with 19.34 millions of people in front of this game. Affaire Conclue does serial audience records since its establishment on the afternoon time on the France 2. Since August 2017, Sophie Davant is the french tv host of this auction show, produces by Warner Bros. International Television. On november the 20th 2017, a new audience record with 747 000 viewers between 4 p.m and 4 : 45 p.m according to Médiamétrie. A 10.5 % market share. The 18th of March 2015 for the broadcast of the first episod of Top Gear France, the BBC France production nearly reached a million of viewers on RMC Découverte. This number is a record for the TNT, thus winning 3,6% of the audience share. FRANCE 5 is proud of the audience its show “Le Magazine de la Santé” realized, during the week from the 24th to 28th January during which it made its best weekly performance for the season 2010-2011. 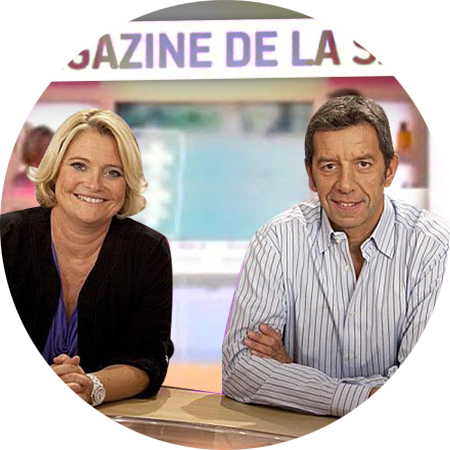 According to France 5, from 1h55 on, “Le magazine de la Santé” presented in live by Marina Carrière d’Encausse and Michel Cymès attracted an average of 845000 millions of viewers, that is to say 7,7% of the public. A great performance. 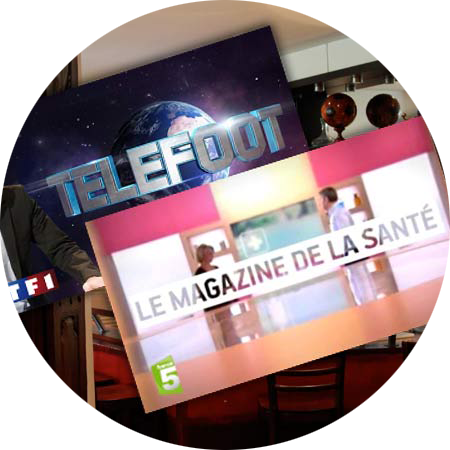 TF1 is proud of the audience rating achieved by its magazine of all the footballs, Téléfoot, on Sunday at 10h55. Presented on live by Christian Jean Pierre and its team, the programme attracted 2 443 000 millions of viewers that is to say 23% of the PDM and 39% of men from 15 to 34 years old, according to TF1. The channel is proud of this audience rating which is satisfactory for the show. The show ends up as the leader of the audience ratings. It has to be noted that a peak of audience ratings of 3 000 000 millions of viewers was reached by the end of the show. By the end of 2015, TF1 came up with the concept of a new show about the entertainment world, and the TAF production staff chose to work in the studios of Altantis Television to prepare what is about to become the “people” Saturday meeting “50’ Inside” presented by Sandrine Quétier and Nikos Aliagas. The show attracted 4 400 000 of viewers and 24,5% of market share. The audience rating even reached 32% for the housewives of less than 50 years old. 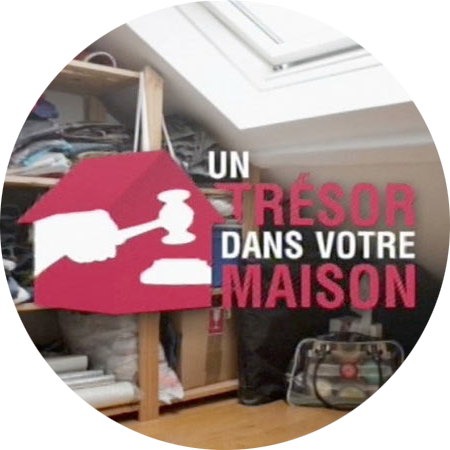 M6 made a big hit again with the launching of a show which is an adaption of a BBC programme created in 2002, “Un Trésor dans votre maison” which helps families to find hidden treasures they have in their house to sell them to you by auctioning. The public was charmed by this access programme broadcast on Saturdays which has just reached its best monthly audience rating last January after a year. A great audience rating was reached by M6 with 2 000 000 of viewers, that is to say 12,2% of the PDM and 19% of housewives. The first series of episodes « Reines du shopping » managed attract 780000 of viewers, that is to say a record of audience for the show, which is also the case for their share of audience which reached up to 12,1%. Faites entrer l’accusé broadcast between 22h30 and 23h45 gathered 3 000 000 millions of viewers, that is to say 20,3% of the audience share. The theme of Christophe Hondelatte’s magazine was Bérenger Brouns, the butcher of the Saint-Martin market. GNTCO, which has been entrusting its post-production means to Atlantis Television for more than two years and which managed to make the Saturday night’s programming more dynamic thanks to “Pekin Express, Duos de Choc”. The programme attracted last November 3 400 000 millions of viewers and it’s been the channel’s best performance on a Saturday night after more than two years. One of the last sites, Atlantis 6 open in Boulogne and dedicated to “Dîner Presque parfait” brought luck again to the staff members. The 16 editing rooms that work day and night for this great M6 daily meeting have been rewarded since the show broadcast on Thursday the 6th of January at 17h50, gathered 2 500 000 viewers on average, for an audience share of 17.2% among the overall public. It was the show’s best audience since March 2010. Atlantis Television officially established the other great culinary meeting of M6. For its first season, « Top Chef » was elected the best new flux show ! Romain Tischenko, 24, is the first Top Chef. 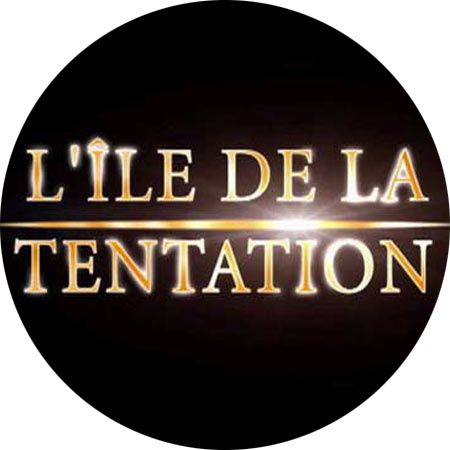 « L’île de la Tentation » (The temptation Island) arrived in Atlantis Television with its staff in the summer 2005 and gathered, after an intense post-production, 4500000millions of viewers and will confirm its success in the following years. Angela Lorente, the reality show department director managed to create the buzz with « Mon incroyable fiancé », this fake dating show, which has beaten all viewing records in the last minutes of the second half of the evening. Something never seen before. The show revealed and launched Laurent Ournac’s career, the actor who was playing the role of Adeline’s suitor, the candidate that was trapped. 4 years later, the gay version came back on the screens on TF1 and the audiences were also very high during the summer 2009. The best audience of the year was won by the documentary « L’odyssée de l’espèce » by 17 Juin Media and reached 8797000 millions of viewers the 7th of June and 34,2% of PDA. In total, 40 millions of viewers in Europe and in Canada were touched by the history of man’s evolution, spanning a period of 7 millions of years, from the prehistory to today . And after all, for the non-superstitious, it is true and not impossible to check ! Our independence and success have made us the market leader in program production. For more than twelve years, we have invested in research and development to help our clients produce in the best possible conditions and keep one step ahead in technological developpments. The fruit this work has also enabled us to test our own creativity, engage in innovative partnerships, generated enthusiasm, open mindedness and new experimentation for our staff as well as our clients. Atlantis is forever attentive to the constantly changing TV market. Despite a difficult economic climate, the market remains strong and Atlantis TV has successfully responded to every new channel, every new program, every new technological process demands an image to be created and produced.